Black Sabbath have unveiled the artwork for their new studio album “13“. You can watch the video reveal, complete with new music, below. The band will release the album on June 11th. It will feature studio drumming from Rage Against The Machine drummer Brad Wilk and production from Rick Rubin (Slayer, Slipknot). 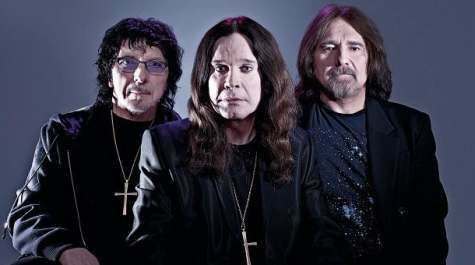 As reported earlier last month, the band’s first album since 1978 to feature founding members Ozzy Osbourne and Tony Iommi together will arrive on June 11, YES that’s June 11th people. In addition to Osbourne, Iommi and additional co-founder Geezer Butler, the album features Rage Against the Machine drummer Brad Wilk. Rick Rubin served as 13‘s producer. Super Deluxe Box Set: a Limited edition 12” clamshell box set which contains: Deluxe double CD album, 12” heavyweight (180g) vinyl album in a gatefold sleeve, Exclusive DVD containing “Black Sabbath—The Re-union” documentary, plus 5 behind-the-scenes videos, Download card containing exclusive track by track interview with Black Sabbath, 13 exclusive photographic prints and hand written album lyrics. 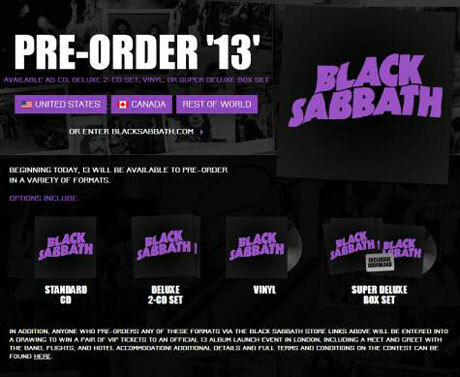 In addition, anyone who pre-orders any of these formats via www.blacksabbath.com will be entered into a drawing to win a pair of VIP tickets to an official 13 album launch event in London, including a meet and greet with the band, flights and accommodations.